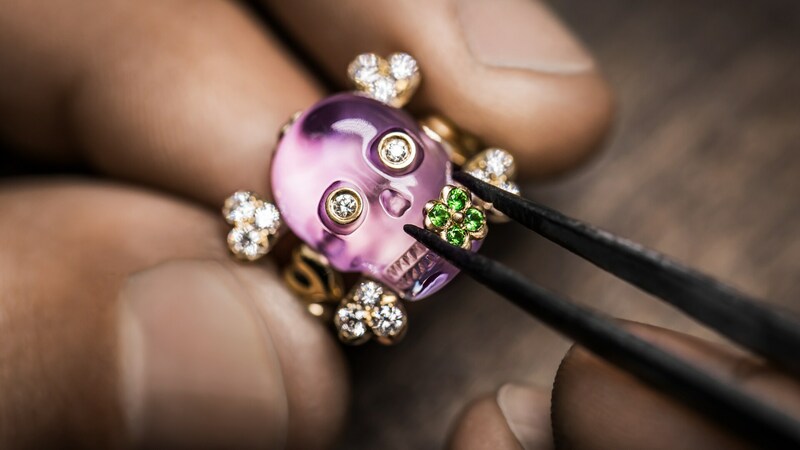 Producing the Tête de Mort collection constitutes a work of incredible complexity, mastered only by the very best French workshops. 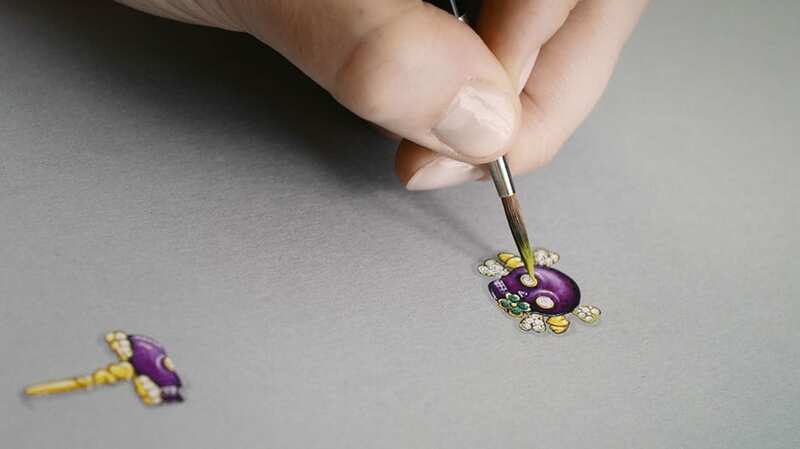 The stones are carefully selected by Dior for their naturally deep pastel shades, their quality and reflections, and are then sculpted in order to bring out their intricate details. 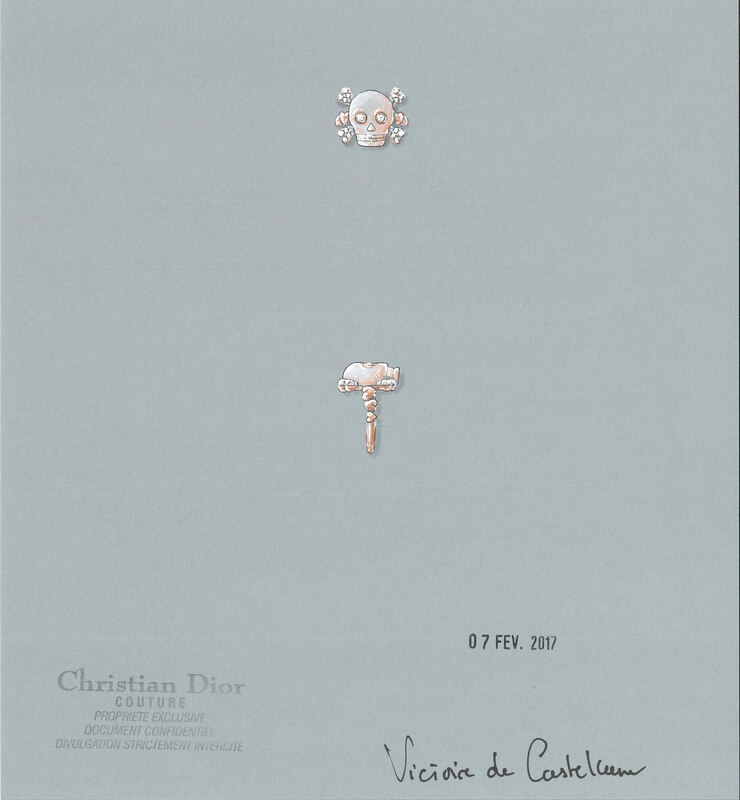 The Tête de Mort collection is imbued with hidden symbols that allude to positive messages. 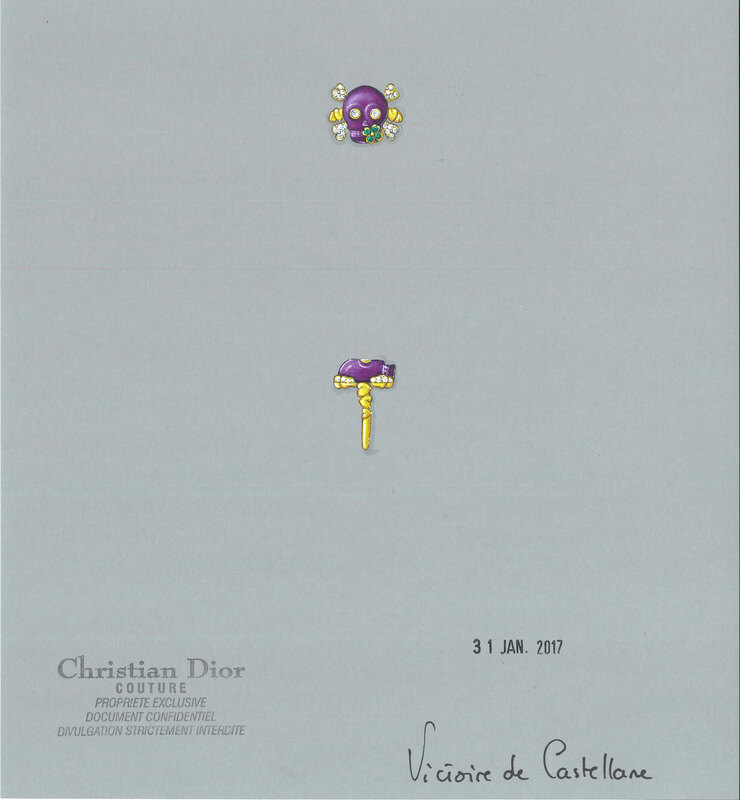 The amethyst creations are decorated with a tsavorite garnet clover, a nod to one of Christian Dior’s lucky charms – while the blue chalcedony creations are adorned with a lily-of-the-valley crown, one of the couturier’s favourite flowers, he used to tuck sprigs of it into the hems of his haute couture dresses. 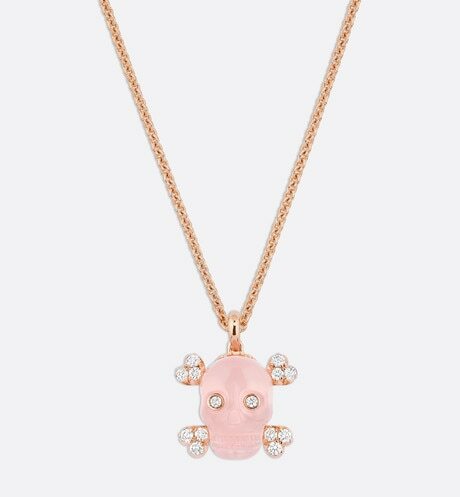 Small hearts engraved on the back alongside others that are domed and slightly askew on the body of the jewellery piece promise eternal love. 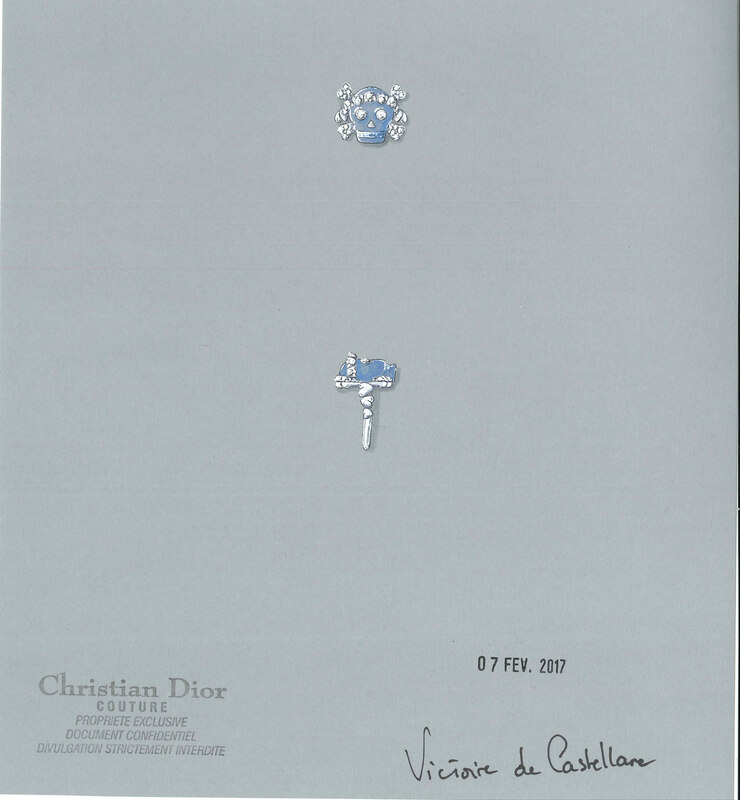 Victoire de Castellane continues Christian Dior's heritage by celebrating colour. 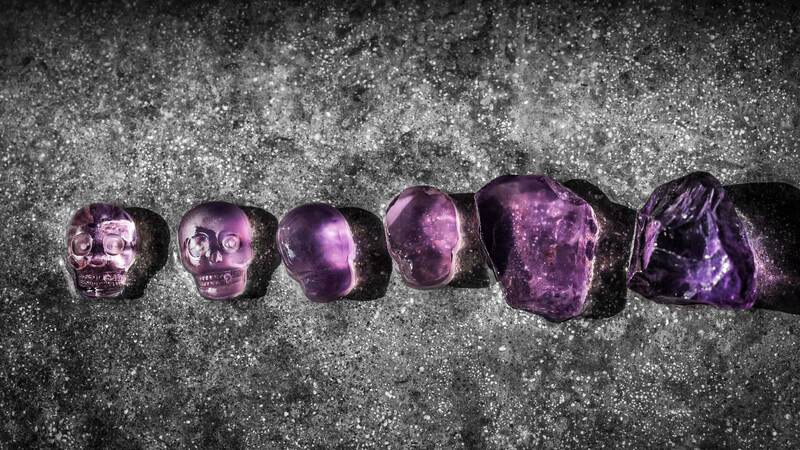 Behind the choice of colours hides another enigma, since each shade symbolises a state of mind: strength is characterised by the deep blue chalcedony, tranquillity by the powder pink quartz, and balance by the soft violet hue of the amethyst. 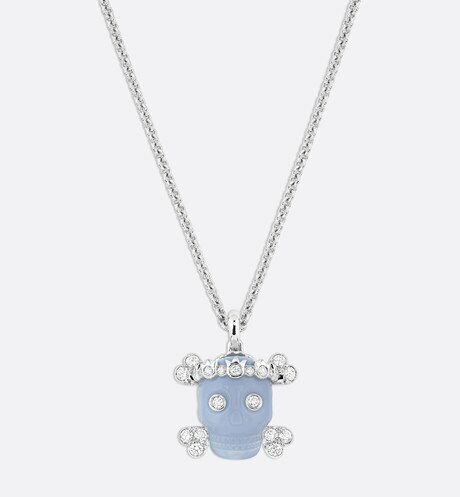 Three shades that allow everyone to find a jewellery piece that fits their own personality.